The skeletal populace of the Deathrattle kingdoms go to war at their king’s command, arming themselves with pockmarked spears and blades, before mustering in perfect order beneath their deathless master’s banners. Such a host is truly chilling to witness; endless ranks of fleshless, grinning warriors, advancing in chilling synchronicity and utter silence to slaughter the living without pity or remorse. 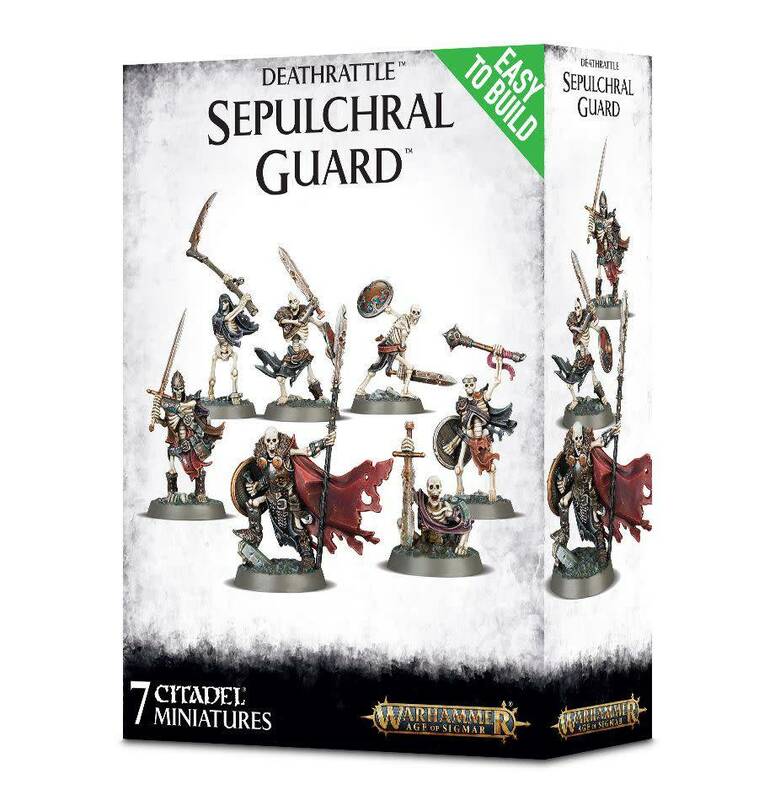 Designed to be as easy as possible to assemble for new hobbyists while being detailed enough for the hardiest veteran to appreciate, this is a set of 7 Easy To Build Sepulchral Guard. Push-fit, with no glue required, these are incredibly straightforward to put together. - 2 of the 3 Petitioners are armed with an ancient blade and crypt shield. This kit comes as 22 push-fit components, and is supplied with 7 sculpted 25mm round bases. 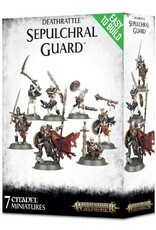 A warscroll containing rules for fielding these miniatures as a unit in games of Warhammer Age of Sigmar is included.